Congratulations to Erin Kacmarcik, our Boudoir giveaway winner!! Thank you to everyone who participated. Please contact Dani Fine Photography at 413.431.3031 to schedule your session today. Please note, if the prize is not claimed within 72 hours of this announcement, we assume the prize has been forfeited and we will select another prizewinner. There are still some slots available for anyone else interested in participating in this chic boudoir session! So many pieces come together to make an impeccable event. Decor, food, entertainment, the list goes on. Times are changing, we have changed and our planet has changed. We are proud to be part of the on-going effort to create a greener and healthier planet. 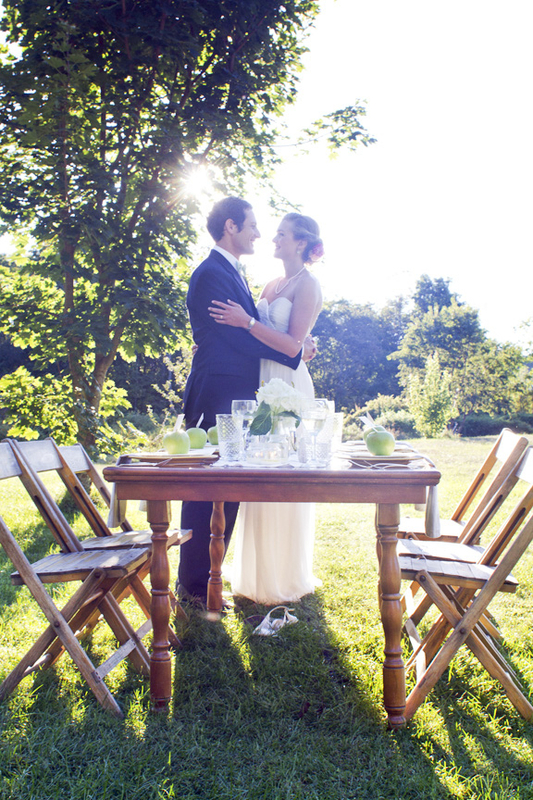 You might think planning a more environmentally-friendly wedding would be difficult but there are so many resources out there to help you pull off a "greener" event without sacrificing style. We’ve gathered together some simple ideas to make "going green" easier than you’d think! This cuts down on the amount of travel your guests will have to do from one location to another. This is an already popular trend for many couples today. Select flowers native to your area and choose blooms that are in season. 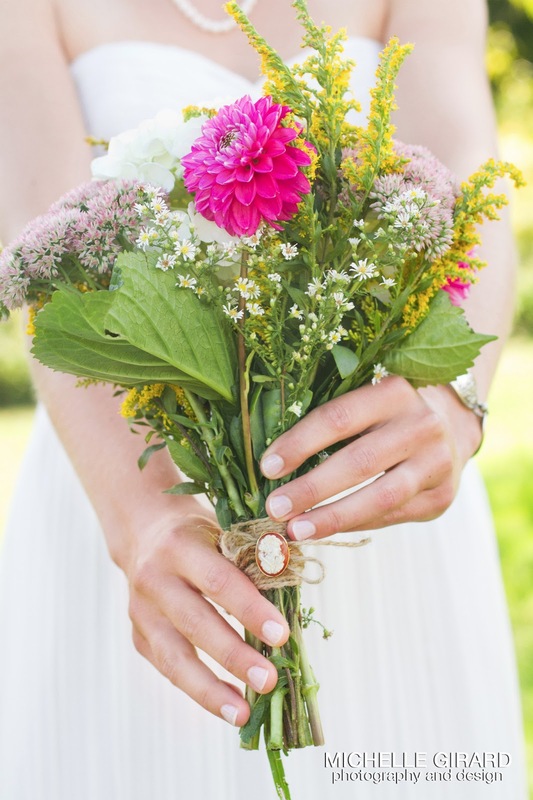 Be sure to discuss with your florist options that will fit within your style and budget. You can also use flowers that are organic, which are not treated with harsh pesticides. A sustainable resource, and the perfect alternative to most candles you find on the market. You can find soy candles locally at some craft stores or your local natural food store. The more local goods and services you can take advantage of, the better. Anything that gets shipped in for your wedding adds to the energy used to produce or transport it, including flowers, food, clothing, and decorations. Talk to your venue or caterer about your options for locally sourced produce or meat in your area. Not only is it easy to incorporate eco-friendly ideas into your wedding, but it is also stylish. By using some of these tips above, you can create a wedding that is sure to be one to remember but is gentle on our environment. 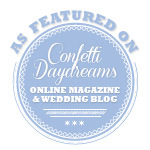 To see more images from our Eco-Wedding styled shoot, visit Fab You Bliss which published our piece last week. Last year we had the great pleasure of working with Dani Fine Photography and Crystal Vazquez & Company on a styled boudoir shoot. We enjoyed working together so much that we are collaborating once again on a fabulous new project. On May 9th and 10th we will be creating a fabulous boudoir experience for you! These styled Boudoir mini-sessions are set to take place at Carr's Cider House in Hadley, MA. You will feel pampered and look gorgeous amongst Carr's charming rustic barns and orchards. The orchard is very private and secluded, located at the end of a classic New England dirt road, and the apple trees should be in full bloom! This styled Boudoir session will surely be a most empowering and exciting afternoon! With an all female ensemble of photographers, stylists and makeup artists, rest assured that you will have a personal and intimate session that will be all about you. Each mini-session will start off with a consultation and subsequent pampering by Crystal Vazquez & Company who will make you feel and look glamorous, with expert makeup application and hair styling. Each person will then have their own, private, 30 minute session with a professional Dani Fine photographer while lounging in a chic and stylish boudoir space created by us. The result will be a group of amazing images, a perfect gift for your significant other before your wedding day or as an anniversary gift. Definitely a gift to remember! Does this sound like a perfect fit for you? If it has piqued your interest, perhaps you would be interested to know that Eutopia Events is giving away one free session! Follow the directions below and you will be entered to win this fabulous prize! (a $275.00 value) The winner will be drawn April 22nd. 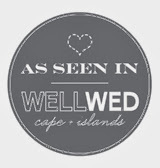 Comment on this blog post telling us where you went on your honeymoon or where you wish to go! Must be 18 years or older to participate. Valued prize is $275 and is nontransferable and has no cash value. Prize winner must be available on May 9th or May 10th. Every effort will be made to accommodate desired appointment time but if the winner is unable to claim the prize on these two dates, the prize is null and void after May 9th and 10th, 2013. 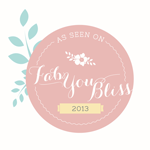 As event designers and planners, we work with our clients to find items that fit their style and personalities. In order to make our clients' dreams come to life and achieve a specific look, we search high and low for the perfect pieces for them. Many of our clients have a certain style that leans towards something more rustic or vintage. We are limited in the local area on such items for rent. After years of searching for items elsewhere, we have decided to add an extension to our business. We are now offering a small selection of rentals for weddings and special celebrations. 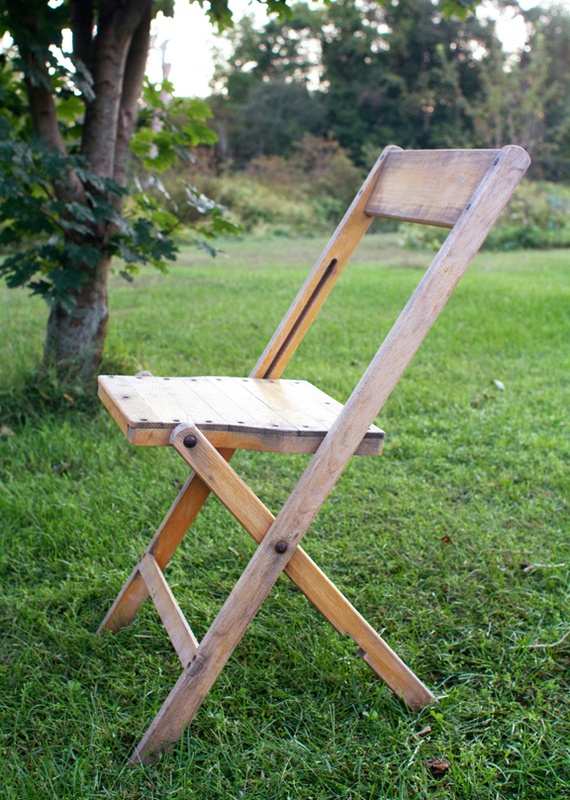 We are very excited about our "new" rustic, wooden, folding chairs that were once used as part of an old traveling carnival. 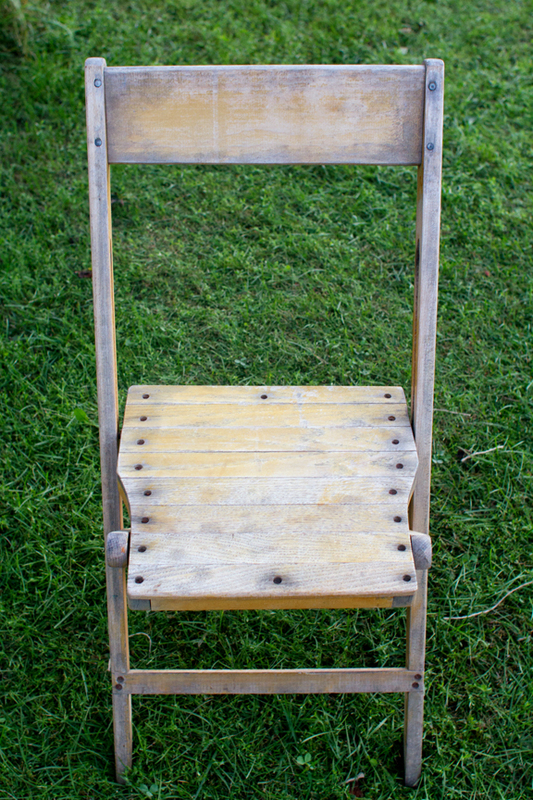 They are perfect for chic outdoor weddings, bridal or baby showers, or any event that has a rustic or vintage vibe. We do a lot of weddings at private estates and residences, historic properties, and farms, so these chairs come in quite handy. We have about 200 of the chairs and they are $4 each to rent (not including tax or delivery). We also have an assortment of cake stands, glass containers, bird cages, votives, table runners, vintage props, and more. We are working on a rentals section of our website, so stay tuned. In the meantime, if you are looking for something unique or specific, just ask. If we don't have it, we will find it!